We have one of these wacky 21st century games of Pictionary to give away. 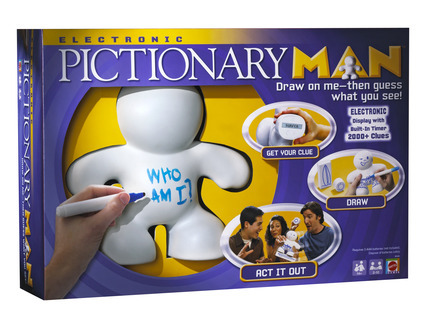 Electronic Pictionary Man costs £30 from Mattel, but they’ve given us one to donate to a Shiny reader. To enter, send an email to [email protected] with “Pictionary Man Competition” in the subject line and tell me the hardest (imaginary or real) Pictionary clue you can think of. The competition closes in a week, on 30th November and the winner will be notified by email. ugg black short on sale!,We are professional supply Ugg pink tall Black Classic Cardy is your best choice,free shipping and nontax,only need 1 week to your door!